Pics from Konunga-Stollen! – Play UBass! If you use Facebook and haven’t already checked my playubass page please do. Like it and you can see some pics from my latest outdoor gig featuring UBasses! You can also read about stuff that don’t end up being a blog post here! If the link won’t work just search for playubass and you’ll find me! Have a nice day y’all! 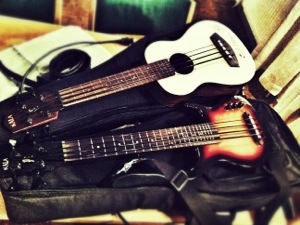 < [CD Project] Composing a new song for the UBass!